Ezt a terméket eddig 50 alkalommal vásárolták meg! 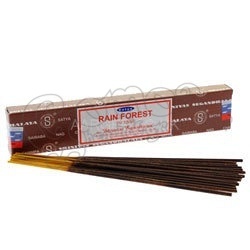 Rain Forest Nag Champa Incense Sticks. Hand rolled in India from pure extracts and fine scented oils, Satya Incense is world renowned for its fine fragrances. These new, hard to find aromas are no exception.